Not even 2 months in and what a year it’s been already! Crater Creations started 2019 off with a bang by successfully summiting Mt. Kilimanjaro and completing our first ever action trip fundraiser. Thanks to your support, this trip was able to raise just over $15,000 for the Kisharu community. The trip began in Nairobi where our group of 10 converged, many for the first time. We were joined by Daniel, our Kisharu community leader, and after spending the day touring the city, we made our way to Suswa. The group’s visit to Kisharu was special in more ways than one, not just for us, but for the members of the community as well. The visit gave everyone in our group a first hand view of all of the projects sponsored by Crater Creations, allowing them to see the direct impact that donations have made and will continue to make for years to come. It’s one thing to read about the geothermal water systems and school sponsorships, but to physically see a system in person, talk to the community's engineer that built it, and speak with one our students about their future career aspirations is an entirely different experience. The visit also gave the members of the community a chance to share and celebrate their culture. They welcomed our group with open arms. It was an experience we will all hold dear. Our time in Kisharu also gave our team a chance to sit down and outline the 2019 budget. A few of the major projects that we will be supporting this year include solar power and vaccine refrigeration for the local medical dispensary, and building a gravity assisted water system for the Olngoswa Primary School, as well as other initiatives. 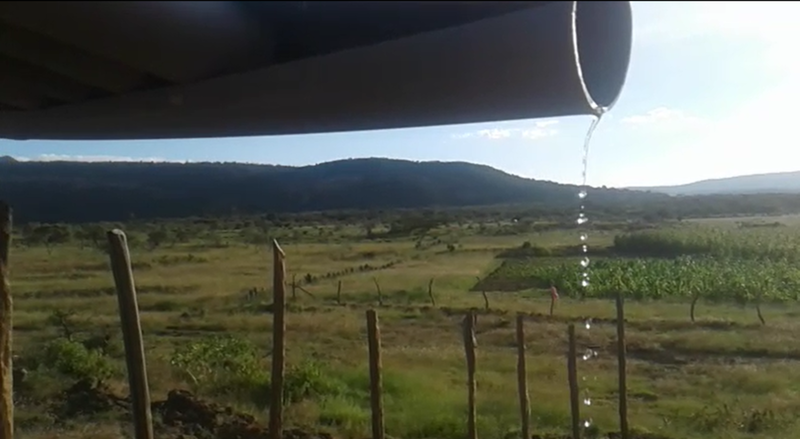 This water system is particularly challenging because the school is not built near any geothermal hot spots. Instead, we're planning on constructing the system on a relatively close hill and using a gravity assist to pipe water to the school. Another major project for 2019 is to restructure our school sponsorship program to allow for additional students in the community to have access to funding opportunities for primary school, secondary school, or even university. Lesinko is the first student sponsored by Crater Creations to graduate from secondary school. He now hopes to attend the Technical University of Kenya and major in engineering. After our time in Kisharu, our group took a 10 hour bus ride from the to Moshi, Tanzania to begin our climb. We checked in at the Londorossi Gate to meet our team of guides and porters. To give an idea of how large of an operation this was, our group of 10 had a support staff consisting of 28 members - 1 head guide, 3 assistant guides, 2 cooks, 2 waiters (yes, waiters! ), and 20 porters. The tourism surrounding Kilimanjaro is extremely beneficial to the local economy. As physically taxing as these jobs are, they are extremely sought after and competitive because they offer fair wages and a consistent stream of income - two things rarely found in rural Tanzania. The revenue from the park provides approximately 12,000 local Tanzanians with jobs and contributes about 13% of the country’s overall GDP. As a result, the areas surrounding Kilimanjaro National Park have some of the highest school enrollment rates and adult literacy rates in the country. The first few days of the climb were taken at a very slow leisurely pace which assisted our bodies in acclimating to the altitude. Altitude sickness can affect everyone differently and even the most experienced, most physically fit hikers aren’t immune to its crippling symptoms. Unfortunately, one member of our group succumbed to altitude early on and had to make the journey home. All 9 other members of our group were able to summit, but not without difficulty. Part of what made this climb so interesting is the varying climate zones that we passed through. The hike started out in a lush green montane forest habitat, with monkeys jumping in the treetops overhead. As the hours turned into days, the trees began to thin and we entered into the moorland habitat. We spent the next few days hiking through the moorlands until we made our way into the alpine desert habitat. Summiting Kilimanjaro was an experience unlike any other. We began hiking at midnight, moving painfully slowly, and made it to Uhuru Peak for sunrise. The weather was less than kind, with a rare blizzard roaring through the night. In the dark, cold, and unforgiving landscape, seeing the other climbers' headlamps dancing in the distance gifted a much needed feeling of warmth and solidarity. When we all made it to the top, emotions were flowing and once the clouds gave way to the sun we were rewarded with a breathtaking view. We snapped our victory photos proudly (with freezing hands), took a steadying breath of crisp mountain air, and prepared to make the long decent. We are forever grateful for your involvement in Crater Creations' first ever action trip fundraiser! Whether you donated, joined us, or supported us from afar, we could not make any of this happen without you. If you're interested in our 2020 trip - give us a shout. The venture capital (VC) environment in Kenya has potential. The technology market segment in Kenya has existed since the 1990’s and is the third biggest technology hub in Africa; behind only South Africa (1) and Egypt (2). Nairobi is Kenya’s main technological hub which is known as “Silicon Savannah.” However, in recent years technological hubs have sprung in other cities of Kenya - such as Mombasa, Kisumu, Voi, Eldoret, Nyeri and Machakos. All hubs support entrepreneurship in the technology sector, cultural sector, and innovative solutions sector. The decentralization of technological industries from the city of Nairobi as a hot spot could mean that the technology industry in Nairobi had become saturated. This is a favorable sign for the economy & the technological industry of Kenya because it is expanding growth through the country, creating more jobs and wealth. Local entrepreneur Ahmed Maawy, founder of SwahiliBox, aims to present the same opportunities in Mombasa that could be found in the city of Nairobi. Who and what are the major catalysts for change? These companies are all registered in the Capital Market Authority. Notable local investors include Transcentury Kenya and Centum Investments. If foreign organizations keep investing and creating more jobs for the Kenyan economy, venture capitalism in Kenya will grow. These firms invest in socio-economic problems, technology and information industries, environmental and human rights industries. The key firms investing in Kenya have allowed new organizations to outsource outside the city of Nairobi, beginning their business in different cities. The technology sector contributes an estimated 8% of the country's gross domestic product (GDP). In the first quarter of 2017 Kenya’s internet speed was 14,958.20 Kilo Bites per second (KBps) the highest it has ever been. In 2015 the internet speed was 1,416.85 KBps an exponential increase of 955.73% in two years. In the first quarter of 2017 the United States and South Africa’s internet speed was 17235.62 KBps and 6595.6 KBps respectively. Kenya has already surpassed South Africa and is competing with the likes of the United States on internet speed. Over the past five years from 2013 to 2018 the disposable personal income increased 62.15%. Corporate tax rates in Kenya have not changed over the past five years and have stood flat at 30%. From 2013 to 2018 Kenya’s debt to GDP was 39.8% and increased to 57.1% respectively. The increase in government debt is due to Kenya’s increase in lending from China, Kenya is $534.1 billion Kenyan Shillings in debt with China ($5.3 billion USD). Unemployment rate has been decreasing at a slow pace. In 2013 unemployment rate stood at 11.8%, in 2018 unemployment rate stands at 11.5%, a decrease of 2.54%. What is the future for venture capital in Kenya? Statistics foreshadow the beginning of a lift off for venture capital in Kenya. Intellecap researched a poll in 2015 to understand entrepreneurship in Kenya, 68% of business leaders in Kenya admit that financial access is a struggle. And 40% of those entrepreneur’s self-finance their business. There is an increasing concern in Kenya; that most of the funds are given to foreigners. Kopo Kopo, BitPesa, M-Kopa, are all founded by American and British entrepreneurs. The success stories in Kenya need to increase. Kenyan entrepreneur Rodgers Muhadi founder of Paykind, was forced to travel to fundraise in the United States. Most of the venture capital firms are foreign operated, it is importance for venture capitalists to have a robust stock market to have an exit through the initial public offering. Kenya must foster a local technology stock market, more efficient tax structures and minimize labor rigidities to attract more venture capital. I hope the fall is treating you all well! We naturally skipped over that season here in NYC and went straight to winter. We have three updates to share with you all this morning. 1. Endicott's Art Club Fundraiser: Our Intern - Santiago Gonzalez (pictured below) did a great job establishing a partnership with Endicott College's Art Club for their monthly fundraiser. The team was able to raise $695 for Crater Creations and the community of Kisharu by selling handmade cups/bowls/plates. 2. Water delivery using our new motorcycle. With the purchase of a new motorcycle for $500, Daniel has begun delivering water to one of three primary schools in the area. This particular school is not located near a geothermal hotspot so we can't use our traditional method of geothermal steam condensation to procure fresh water. Typically, the two rainy seasons provide enough water for this particular school to collect, but recently that hasn't been the case. Until we determine the cost of piping for a more permanent solution, Daniel will be delivering around 90 liters of water every morning when classes are in session. 90 liters is heavy, especially on rough mountain roads, but the journey leads to happier students and doesn't take more than an hour or so. That's all for now - stay tuned for more! The fundraiser was successful by exemplifying the importance of co-creation solutions between Crater Creations and the Kisharu community. At Crater Creations we believe in creating trust and transparency with our donors. I am super excited to officially announce Crater Creations' inaugural adventure trip! You are all invited to join us on a climb up Mt. Kilimanjaro, better known as one of the Seven Summits, between January 6th 2019 to the 18th. We're also going to spend two days in Kisharu, Kenya, visiting the community we're working with and visiting the projects we've implemented. We're targeting a group of 10 (12 max) to join us. At the moment, we have about 4-6 spots left. This is our first trip and we want to make this as much of a success as possible, so please share! If you are interested, please reach out to rachel@cratercreations.org ASAP to ensure your spot. Daniel will be joining us on the climb as well - we're in the process of setting up a way to document his climb up the mountain and we'll use that for a future fundraising initiative. Additional information can be found on our website through the "find out more" button below. Review the itinerary and flyer using the corresponding links. We're looking forward to seeing you all there! 1. Our first water project is complete. We're proud to announce that the first fully sustainable geothermal water system has been completed providing over 420 liters of fresh-clean water per day. You may have noticed, but it took much longer than expected. When the dry season ended a few months ago, the raining season came with full force, ending a three year long drought cycle (one of the longest in recent history). The rain brought along a host of issues we were not expecting - mainly flash flooding. As shown in the pictures below, unsuspecting trucks can get buried, and it became dangerous to drive supplies up into the crater. 2. Presentation at the Rotary Club of Andover, MA. Our new(ish) member of the team, Rachel Lewis has been an absolute star - helping us apply for grants, taking initiatives on funding objectives, and organizing a couple major events which we'll talk about shortly. Rachel graduated from Endicott in 2017 with a degree in Environmental Science and began working with us earlier this year. Rachel was given the opportunity to present Crater Creations at the Andover Rotary Club in MA on Friday (June 8th, 2018). Strong connections were made, and we're hoping to leverage a few other speaking arrangements and funding opportunities from them. 3. $2,000 grant from the First Church in Wenham. We are extremely happy and grateful for the support from the First Church in Wenham who graciously donated $2,000 last month for our cause. 4. New intern. This summer we're excited to announce that Santiago Gonzalez, a current student at Endicott College, will be joining us as our second ever intern. His main focus is going to be on marketing and events in Boston. 5. Kilimanjaro Trip in January 2019. After much deliberation, we are excited to "soft-lanch" the first Kilimanjaro fundraising trip for Crater Creations. If you're interested in joining us in January - please email Rachel Lewis at rachel.n.lewis29@gmail.com and 'cc me (david@cratercreations.org). More details will follow in the next couple weeks with the itinerary and required fundraising goal. If you end up joining us, this will be an absolutely unforgettable trip. We're going to take Daniel (our community leader in Kenya) with us. Memories will be made that will last a lifetime. Please share! Once we open this up to everyone, spots are expected to be filled quickly. 6. Partnership with Endicott College. We've been working with the international department for the last few months to iron out a curriculum based on inclusive and co-creative international development and entrepreneurship. The course will be called "From MegaCorp to Farmer: Discovering Kenya's Hidden Entrepreneurs". It will consist of a few classes/readings throughout the Spring Semester. It will be followed by a two week excursion in Kenya where we'll be leading students to meet with some amazing local entrepreneurs who are solving some of Kenya's most pressing issues. Students will also fundraise and work together with community leaders to target specific projects. 7. Acceptance of Alumni Award at Endicott College. Also on June 8th, 2018, I was humbled to accept the Eleanor Tupper Alumni Award from Endicott College for our work with Crater Creations. There are two alumni awards given out annually with this award focused on service and entrepreneurship. I can't thank all of you enough for your continued support. It means the world to our team! I hope you are all keeping warm during this icy winter. We have some great updates that I'd like to share with you. We broke ground. As you might have seen, Kenya was undergoing a challenging political climate over the past few months. The incumbent, President Uhuru Kenyatta, was running against a notable political rival in Raila Odinga. The elections in 2007 sprouted some of the worst political violence in history. The 2013 elections were much more peaceful but, with allegations of corruption and wrongdoing, the initial stages of the 2017 elections were beginning to look similar to those a decade earlier. Fortunately, it looks like calmer heads prevailed and the maturity of Kenya as a country showed with a relatively safe election period. Nevertheless, the community wanted to wait until after election violence concerns subsided prior to retrieving materials from Nairobi to build the first geothermal water system we mentioned in the previous update. As a result, this took longer than expected. We sent over the first ~$2,000 USD on 9/19/2017. The water condenser materials were purchased on 12/19/2017. Construction is about to begin following additional delays (Christmas/New Year Holiday) in addition to an under-budget of approximately ~$200USD which we need to transfer over this week. The Community Board in Kisharu decided to use the first ~$2,000 in the manner described above. Lesinko Sipitiek and Esther Tuken's families did not have enough money to send them to secondary school. Esther's payment was for her last year of school. She's expected to take exams this year in order to enter into university. Lesinko has one year left. Both performed fantastically. The Board is expected to meet again this week to decide on the next project in addition to the % of donations which will be allocated towards the sponsorship of children in desperate situations. This is expected to be a minor % since they expect sustainable projects to begin covering these costs at least partially. Depending on water conditions, they may decide to choose another geothermal water system as their second project. 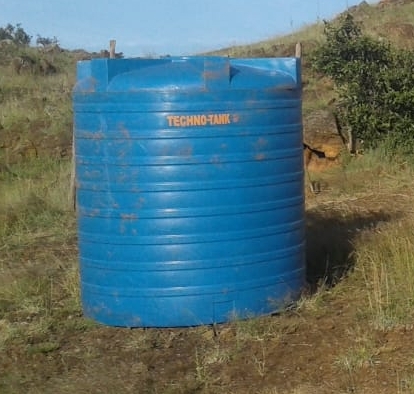 Note that the 6,000 KSH for the water tank is solely transportation as the tank was generously donated by a local church. Tanks like these can cost upwards of 100,000 KSH. Additionally, Daniel Sempui and I are experimenting with another project focused on the purchase and sale of livestock. For a proof of concept, I deposited 55,000 KSH (550 USD) for which Daniel and I purchased 11 sheep. Since the dry season is over, the sheep were purchased inexpensively. They'll be raised by Joseph Tanin within his existing flock. For this, he'll be paid 8,000 KSH for 4 months in the form of flock rent. We're expecting to sell the sheep at 150% to 200% original cost within 4 months. If this is proven successful, we'll raise additional funds for additional investments. All profits will stay in Kisharu and will be used to compliment future projects. Note that the current pool of donated funds will not be used for this segment. Additional business models are being considered by board members. In conclusion, thank you all for your time and continued support. We hope to iron out strong proof of concept with these projects so that we can compete for larger grants and raise larger donation sums. As always, don't hesitate to reach out with any questions and I'll continue updating everyone as we progress. I hope you are enjoying the start of beautiful fall. I wanted to provide a few updates on what we are up to! As a preface, when we first started Crater Creations, we put the needs and expertise of the community first and foremost. In a rural Maasai community like Kisharu, their well-being can change at a moments notice since the majority of their sustenance comes from agriculture. Many of us don't feel the effects of climate change since we aren't as reliant on climate stability in the developed world. Kisharu typically has two dry seasons and two farming seasons. In the past 5-6 years, the dry seasons have become progressively longer; stifling the productivity potential in the region. This creates deep economic impact. Families have to purchase food to replace the farming deficit. Livestock become smaller, and die off which can impact purchasing power. Water becomes scarce and the geothermal water systems are unable to replace the shortage. Children are forced to drop out of school as their relatives have to use income elsewhere. This year's dry season was the worst yet. And Kisharu's needs changed. Community leaders now want to focus on sustainable water projects that are decentralized. Remember, for the Project L.I.F.E Community Center we were focused on a centralized water system that would work for future infrastructure. The problem with that version is that it only allows for families in close proximity to benefit from the water system. Instead, Kisharu wants to build these systems in key strategic locations allowing a larger majority of families who do not already have access to an existing system the opportunity to benefit from one. 2 weeks ago, we finally established the local Chase bank account in a small town called Narok, 1.5 hours away from Kiisharu. Things took longer than expected as businesses take a notoriously long time to process paperwork, especially from a small community and where most forms need to be filled out by hand (Daniel went to the bank multiple times over the last couple months). We sent over $2,000 out of the ~$20,000 that we've raised to quickly do two things. First, we paid for Lesinko Sipitiek's and Esther Tanin's highschool programs. Their parent's, as a result of the drought, could not afford fees. Esther is in her final semester and any potential interruption could be problematic. Lesinko began highschool last year and we covered a portion of the expense. This cost around ~$400. The remaining funds will be used for the first Crater Creations geothermal water system. The community board consisting of 8 female and 7 male leaders are meeting within the next couple weeks to determine the geographic location requiring the most water at this time. Additionally, the board has tasked themselves with making this economically sustainable. The most likely scenario is a small surcharge, cheaper than all other options, which the treasurer will collect in order to cover future school fees in the community. The board is adamant about investing the capital so shortage of funds will not occur in the future. Finally, back on September 5th, 2017, I had the privilege of being the key-note speaker for the incoming Freshman class at Endicott College, my Alma Matter. I was able to share Crater Creation's story and vision for the future. The school donated $1,000 to the cause and we were connected with a couple potential grant connections for the upcoming year. We're working on determining our budget at the very moment. As always, we thank you so much for the ongoing support. We have no easy task but partnering and leveraging local expertise will make the outcome substantially more impact. As the community decides on the first water system's model & location, we'll send out another update. When we assess its effectiveness, we'll move forward with more similar systems. With all this in mind, we're ready to take a big step forward. I hope you all are enjoying the summer, wherever you may be. Its been too long since our last update. My deepest apologies for that - we've been working diligently behind the scenes on a number of engagements that we hope you'll enjoy hearing about. As a quick refresher, I'm also including some events/milestones we've achieved in the last few months. In April, our team placed at the annual Spark Tank Competition. We were able to win $2,500! While we didn't win all potential funds, (the competition was strong) the event has brought us a lot of momentum. We applied for a $5,000 grant back in February and received the entire amount in June from Railway - an organisation that focuses on impact investing and sustainable development. We are incredibly grateful for this opportunity and excited for the impact we can make. In Mid-June, we held a benefit concert at Pianos in NYC featuring Evelyn Cools, Newcomers Club, and Grammy-Nominated musician Alastair Moock. It was an absolute blast. We had a great crowd of people show up for a great night. I am honored to announce that I will be key-note speaker at Endicott College's 2017 Convocation this year at 3PM on September 5th. I'm going to speak about the true inspiration behind Crater Creations (Kisharu Community) and the importance of collaboration and partnership, among other topics. We aren't sure if the event is open to the public but when we find out, we'll let you know and would love to have you make it! We're currently in the midst of determining which local contractor in Kisharu is going to begin implementation of the solar/water/sanitation system ($12,500) that we have more than enough funds to cover (currently ~$18,885). Our hope is to begin construction by the beginning of September. The local contractor we are most likely to partner with already has experience building a $150,000 medical clinic for an Italian NGO close to our construction site. They are the optimal choice as a result of their experience with the locals and transferring materials through the rough road system. As always, feel free to reach out with any questions and thank you very much for your continued support. One thing we've realized is that any project takes a great deal longer to complete in Kenya (especially rural Kenya) than anticipated. But with help from our fiscal sponsors Mama Hope, our partners, and all our supporters, we'll keep pushing forward.